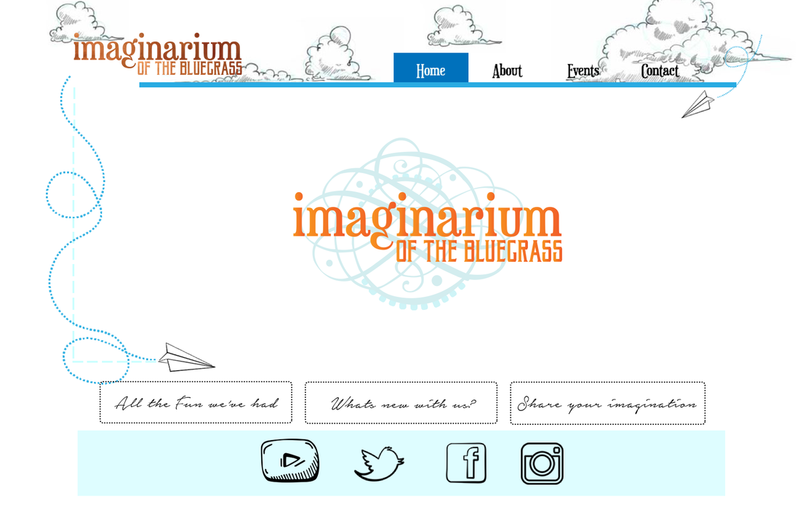 The brand new artist collaborative, the Imaginarium of the Bluegrass, is all about play. Play between artists, writers, actors, singers, performance artists, and art enthusiast. Wanting desperately to break the "gallery-style" mold. The design aspects of immediately went straight into the ideas of fun, play, freedom, and daydreaming. In the first version of the website, clouds and paper airplanes were added into the design process, as well as copper and blue tones to hint towards the "making" nature of the organization. Another item that is featured on this website, is the center logo is actually an animation, and can be switched to a slideshow feature once the Imaginarium starts debuting projects. 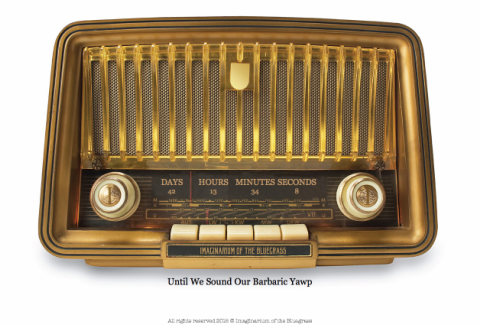 In the current live version, to add a bit of mystery and intrigue before the site, company, and projects officially come into public view, an old style radio with a count-down clock is seen on the landing page. With logos placed within the nobs and hidden easter eggs hidden within the radio's face that lead to information about the imaginarium. The play and imagination are sparked with just a few simple measures. This version of the site will be live until the official unavailing of the Imaginarium and the Good Gray Project on Sept. 7th, 2015. Though still in the process of building, check back for updates on this websites progress!